The Amsterdams Andalusisch Orkest organized the first edition of the Ud Festival in 2016. A festival entirely dedicated to the instrument that forms the musical bridge between east and west. The ud (also spelled oud) once made a long journey from Baghdad to Andalusia, and formed the basis of a musical revolution in the West. Much of this influence is due to the legendary 9th-century musician Ziryab: polymath, innovator, composer, singer and more. He saw how to give the instrument new life, and laid the foundations of a range of musical traditions, including the Arab-Andalusian repertoire. Today, the ud appears in a number of musical genres. In jazz, it comes into its own as an instrument of innovation; in spiritual music we see how the ud reaches deep into the soul; the modern classical repertoire highlights the ud’s distinctive voice, as both a solo and orchestral instrument. Check out the current line-up for the second edition of the festival through our events page. Meanwhile, find photos and videos of the 2016 edition below to get ready for this year's Ud Festival! The complete line-up is available on our website now, go to events to see all the programmes and visit the artist page for background info. We are looking forward to welcome you during the festival! 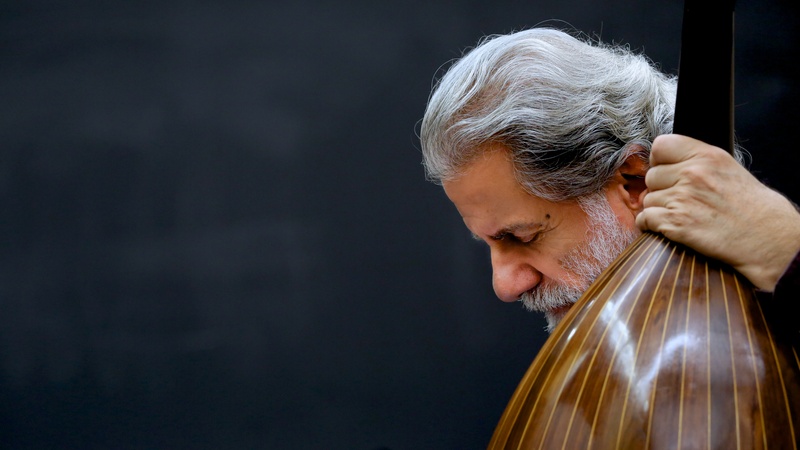 The first names of the Ud Festival 2018 are announced: Marcel Khalife, Dhafer Youssef, Kamilya Jubran, Le Trio Joubran, Omar Metioui, Rohana Overwater Ensemble and the Amsterdam Andalusian Orchestra. Go to our events page to check dates and buy our tickets! More info about the line-up will be released soon. The Ud Festival 2018 will be held from 5 October until 23 November 2018, with concerts in Het Concertgebouw to De Verkadefabriek. More info about the line-up will be released soon. Check this website to stay up-to-date! During the development of the Ud Festival program we have received sad news. One of the best ud artists of his generation Saïd Chraïbi passed away and he was on our list for this festival. Also the Amsterdam Andalusian Orchestra (organizers of this festival) will perform with the highly qualified Orchestre Temsamani from the Moroccan Andalusian city of Tetuan. The first edition of the Ud Festival will host some of the greatest ud musicians around the globe. Check out the complete lineup and events here!